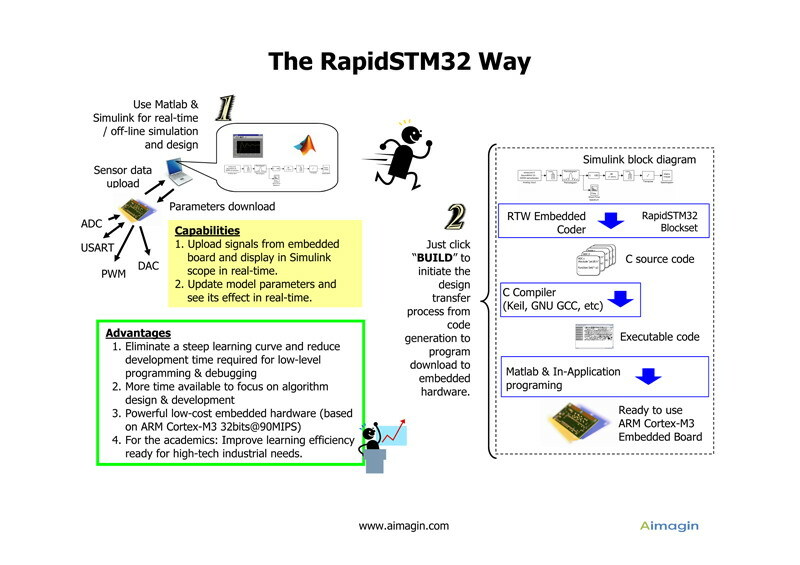 RapidSTM32 is a technology base on a Simulink device driver blockset and tool suite for STM32 microcontroller family. Ultimately, the blockset is expected to enable users to transfer their designs from Simulink, with just one click, to a working embedded system (based on STM32 microcontrollers) without the need to write a single line of C or Assembly code. The blockset works by taking advantage of the Mathworks Inc.'s products, i.e. Real-Time Workshop and Real-Time Workshop Embedded Coder, code generation capability. The blockset is not intended to be a comprehensive embedded target, allowing users to adjust every single bit in every single register. Rather, its focus is on helping users (especially beginners in embedded systems) implement such complex systems or algorithms as event-driven real-time applications or Kalman filtering as Fast-Easy-Fun as possible without the need to understand RTOS or perform low-level device configuration or debugging. Rapid STM32 bridges the gap between the high-performance graphical programing language, real-world applications, and the users with low-cost moderate-performance hardware. Why RapidSTM32? Who needs it? 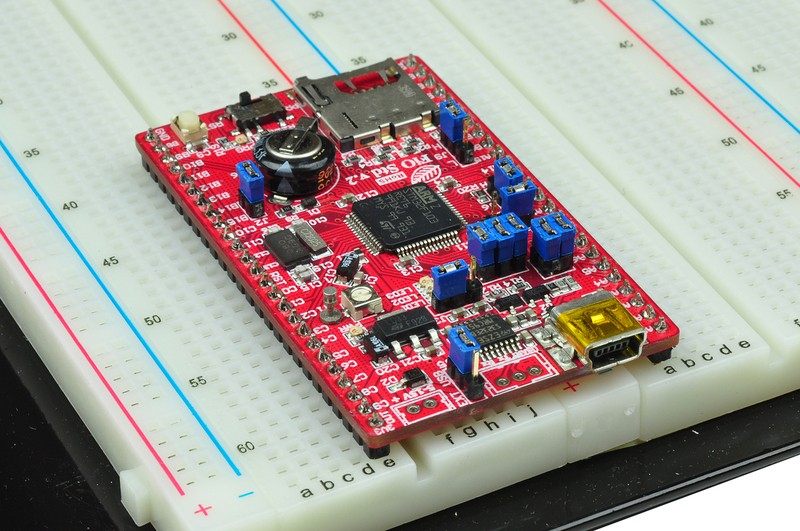 � learn about Rapid Prototyping and Model-based design using affordable hardware. � be able to focus their learning about such topics as Automatic Control Systems or Digital Signal Processing applications, while avoiding a steep learning curve in low-level C programming / debugging. 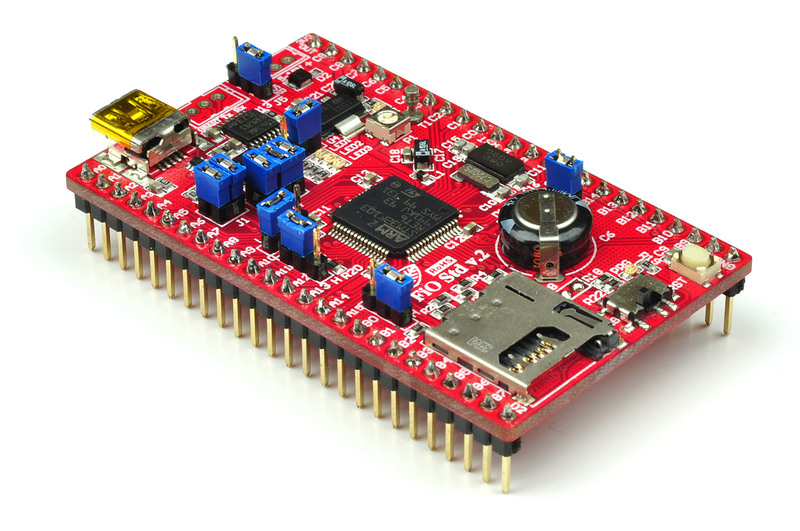 � to be able to make use of microcontrollers in senior projects very Fast-Easy-Fun, directly from Matlab & Simulink. 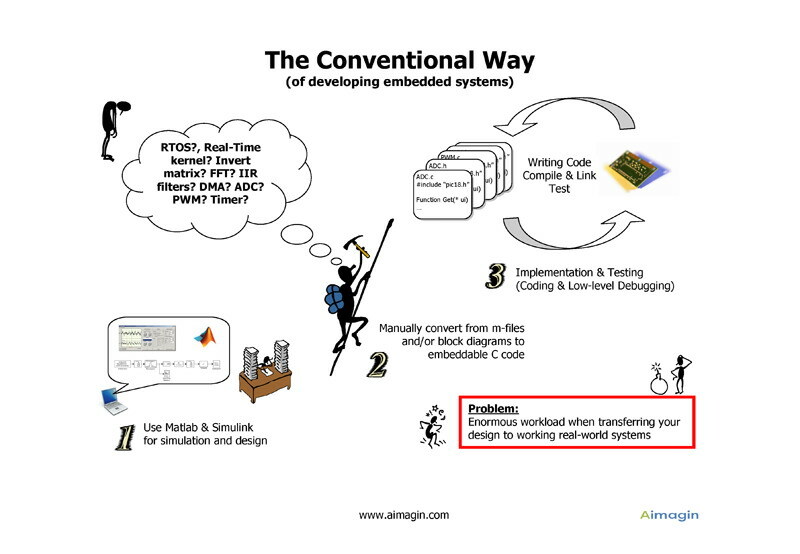 The conventional Way of developing embedded systems. 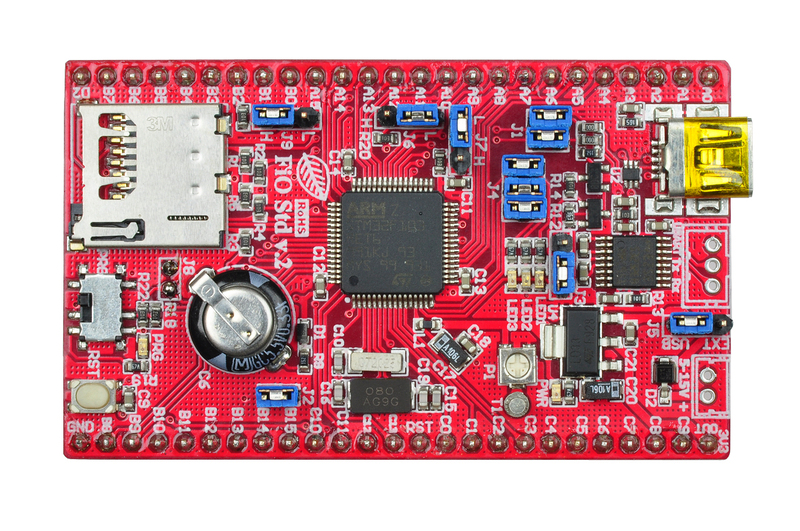 FiO Std is a breadboard friendly evaluation board (EVB) from FiO family of evaluation boards that are based on STMicroelectronics STM32 ARM 32-bits Cortex � M3 processors. 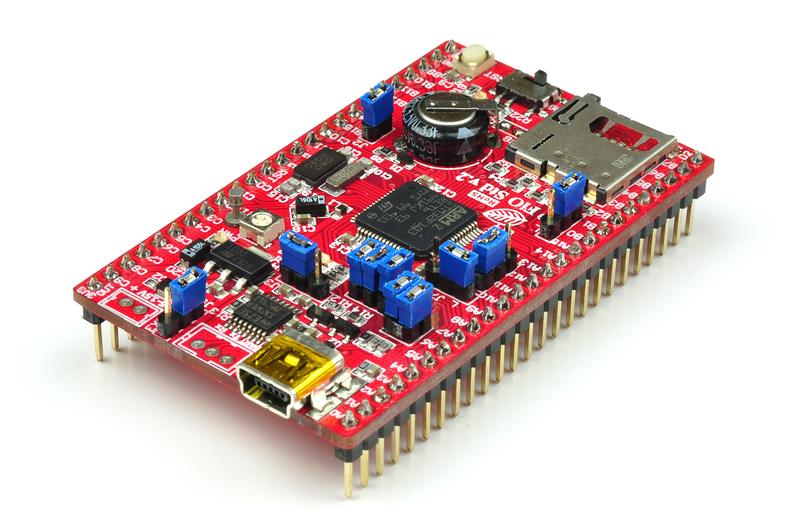 FiO EVBs have been primarily designed as affordable embedded system training boards for used by instructors and students to supplement such courses and curriculums as design and analysis of automatic or embedded control systems and digital signal processing (DSP) systems. It is hoped that the introduction of FiO and RapidSTM32 Blockset will help lower the barrier and open up opportunities for more users to play around with Rapid Prototyping technology. FiO family of evaluation boards have been specifically designed to be applicable both as LAB kits for uses in laboratories as well as a stand-alone system for used in-the-field in any student�s science and engineering projects. � Real-Time Hardware in the Loop Simulations via USB HID. � Higher HIL update rate available via other specially designed interfaces. � Create working stand-alone embedded systems from Simulink models with just one click. � Generated source code compatible with Realview MDK for ARM with options for automatic compile and download option. � Data logger to micro SD card (FAT32). � Support simulation and code generation for typical peripherals such as push/toggle button or character LCD. 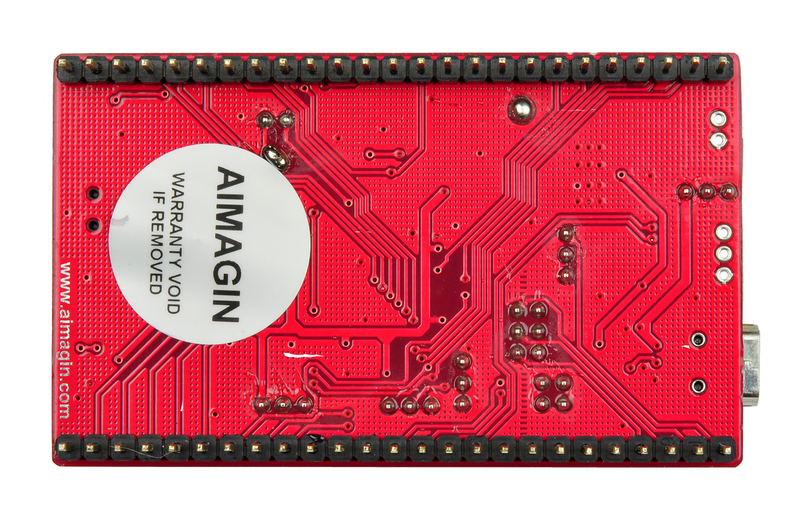 � Supported on-chip peripherals include Digital IO, ADC, DAC, RTC, PWM, USART, USB (Virtual COM) and more. � Support integration with Finite State Machine simulation and code generation via StateflowTM and Stateflow Coder.